Most of us will encounter stretch marks at some point in our lives. And whilst they’re only a very harmless bi-product of our bodies changing; whether it be from puberty, pregnancy or weight-change, those squiggly lines across our skin can be the subject of serious self-consciousness and insecurity for some. So, what are they, how do we get them and more importantly, is there anything we can do to reduce their appearance in a safe and natural way? Our experts at NUXE have the answers. What are stretch marks and why do we get them? Referred to by medical professionals as striae or – during pregnancy, striae gravidarum, stretch marks appear when the skin is stretched too quickly. During rapid growth and weight change, the dermis, the middle layer of the skin is stretched and broken. This causes microscopic bleeding and tissue inflammation, giving stretch marks an initially reddish / purple appearance. Overtime as the skin settles and heals, they fade to a silvery-white appearance although they don’t tend to disappear entirely by themselves. Stretch marks most commonly appear during pregnancy; in fact, over 50% of women will experience stretch marks during gestation. But, they can also appear as a result of puberty, rapid weight gain or even weight loss. During pregnancy, they’re most common on the lower abdomen and breasts but can also appear across the hips, thighs and lower back. Unfortunately yes, genetics play a huge role meaning that some are naturally more prone than others. Although they’re very common amongst all skin tones, they can be more noticeable and more highly associated with darker skin tones as the stretch marks themselves are lighter than the surrounding skin. Everyone’s skin has a different elasticity tolerance, so it will be easier for some to avoid stretch marks than others. However you can help your skin to maintain its optimal elasticity by keeping it healthy. Maintain a balanced diet and exercise regularly to improve circulation, thus helping the skin’s ability to stretch as it grows. Ensure your skin stays supple and hydrated by using nourishing body care on a regular basis. Apply a rich moisturiser or a dry body oil across your limbs and torso daily to keep the skin supple. 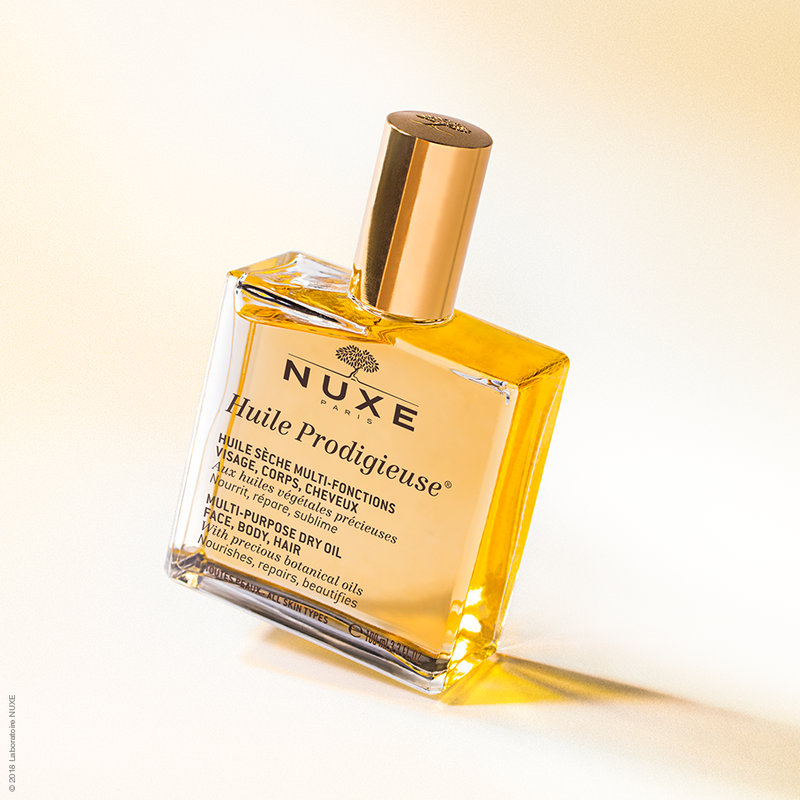 NUXE’s beauty dry oil, Huile Prodigieuse® is perfect for this. The formula is enriched with 7 precious plant oils so it leaves the skin hydrated and smooth. These botanical oils are all obtained by cold-pressing, an environmentally-friendly process that produces a high-quality dry oil. The earlier you take care of stretch marks, the better - once they’ve matured into the silvery-white stage they tend to scar and it is not possible to help to reduce their appearance anymore. As soon as they crop up, help to nip them in the bud with a nourishing dry oil. Enriched with precious oils (Tsubaki, Hazelnut, Macadamia, Aran, Sweet Almond, Camellia and borage), our iconic moisturising dry oil Huile prodigieuse® can be used to effectively reduce the appearance of stretch marks. These oil are rich in omega 9 (oleic acid), which acts as a perfect vector for the dry oil's nourishing molecules. Surveys shown that Huile prodigieuse® has a proven efficacy on your skin, reducing by 30% the appearance of the colour of stetch marks(1). And for those who may also be looking for extra-nourishment, Huile prodigieuse® riche is the one for you! Rather than simply applying it, massage the dry oil into desired areas (bust, legs, etc.) and over stretch marks in circular motions to get its full benefits. In addition to the application of a body oil, regular exfoliation across the concerned area can also help to reduce the appearance of stretch marks by stimulating the regeneration of new skin cells. Use a very gentle abrasive such as a body scrub once or twice a week to remove old and dead skin. 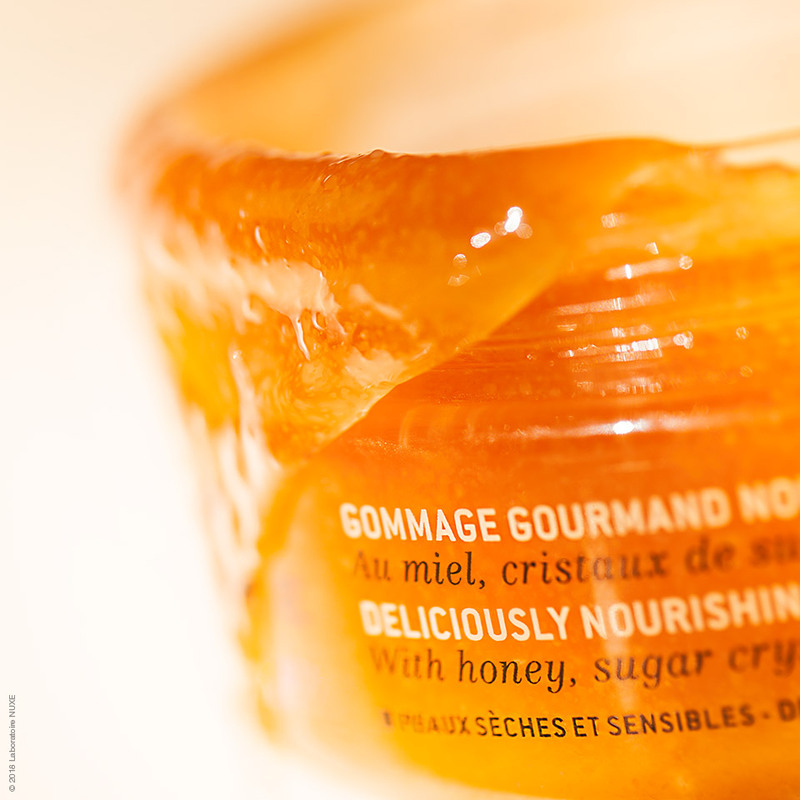 Opt for a nourishing formula, such as the Rêve de Miel® Body Scrub for a soft and smoothed skin. Help to reduce the appearance of your stretch marks by shopping the multi-purpose dry oil range(2) on the NUXE site. (1) Use test under dermatological supervision on 26 volunteers. % of improvement assessed by the dermatologist after applicatoon over 56 days. (2) Huile prodigieuse® and Huile prodigieuse® riche.